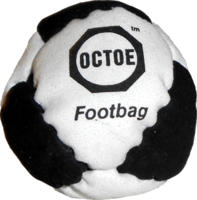 This eight panel “Octoe” footbag is a Flying Clipper original, going way back to 1983 when Flying Clipper was founded. 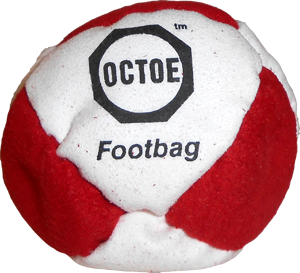 Unique enough to receive a US Patent, this hacky sack combines triangles and truncated hexagons to form an original sphere. 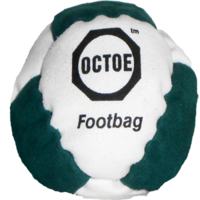 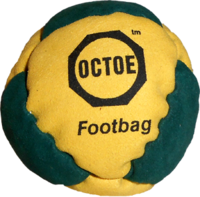 This footbag brings me back to my 1980's kicking, but the difference with the Octoe is it's nice and soft unlike my old stiff leather hacky sacks back then. 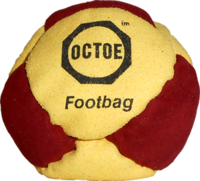 This would've been a dream back then. 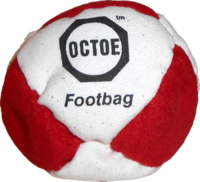 This probably won't be a real frequent kicker for me but i love the classic design! 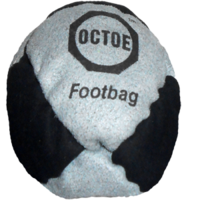 I think it will be alsome to hack with.